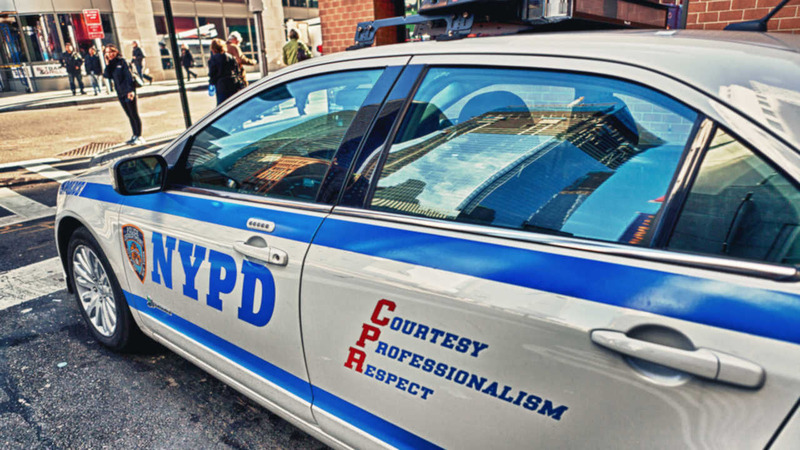 NEW YORK (WABC) -- Mayor Bill de Blasio says it is a policy he wants to put an end to - NYPD officers on modified desk duty raking in big bucks in overtime. At the heart of the issue is Officer Daniel Pantaleo, currently under federal investigation for the chokehold death of Eric Garner in 2014. The Staten Island man's death helped to spark the 'Black Lives Matter' movement. Pantaleo reportedly earned more than $20,000 in overtime since being stripped of his gun and badge. Speaking at the Reverend Al Sharpton's National Action Network on Saturday morning, the mayor, for the second time in as many days, is expressing his opposition to the current NYPD policy. "It made no sense to me, because, think about it, if you're on modified duty, I want to be clear that what happens in the NYPD, when the NYPD leadership comes to a conclusion when an officer has done something wrong, they take their gun, they take their badge. They do not allow them to patrol the streets of this city," said de Blasio. The mayor said he had no idea about the policy until recently, publicly weighing in for the first time on Friday, the same day new NYPD Commissioner James O'Neill was sworn in. De Blasio says he is already working on a fix. "If there's an emergency, if there's a crisis, they can make the decision if they need those additional officers for any particular duty. But that requires the written consent of the highest uniformed officer in the NYPD, the Chief of the Department," de Blasio added. Lynch goes on to say that overtime is not a reward, and police officers do not control it, the department does. The last point is something it seems both sides do agree on.